A Strong 2015 for Gold and Silver? Each week, Your News to Know brings you newsworthy stories and critical reads on the gold market and the economy. Stories this week include: Jim Rickards says buy gold now before it’s too late, factors point to a strong 2015 for gold and silver, and should gold be in every portfolio? 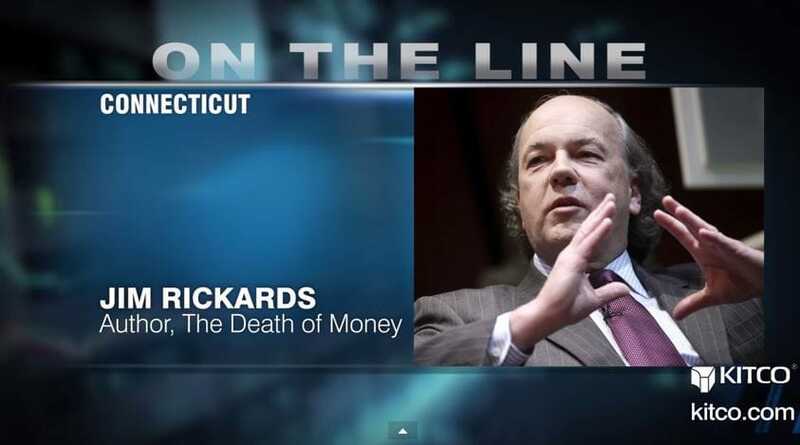 Best-selling author Jim Rickards sat with Kitco News on New Year’s Eve to share his views about the U.S. economy in 2015 and how it could affect gold. As for gold, Rickards recommended that given the yellow metal’s current price, now is the time to buy. When gold prices start escalating, he said, it will be hard to find gold. “There’s nothing like being optimistic at the start of a New Year and there are certainly many factors to be optimistic about if you are a gold bull,” says Lawrence Williams, Consultant Editor for Mineweb. In a recent article in his new blog, Williams looks at the prospects for gold and silver prices in 2015, making predictions of end year price levels for both metals. One reason to be optimistic about gold in the coming year, he says, is the continuing strong demand from India and China, which “probably account for 100% or more of new mined gold at the moment.” Contrary to last year’s media reports of the coming collapse of the Chinese gold market, demand in China is expected to fall only a fraction below the record 2,181 tonnes of last year. Demand for gold and silver in India has been remarkably strong despite the 10% import duty. Geopolitics, especially the ongoing crises in Ukraine and Crimea, will also continue their positive impact on gold as a safe haven. Further, if Ukraine defaults, this could affect its creditors and ultimately the global financial system. “One can foresee runs on banks and domino bank and fund collapses as a result with the global financial system being so closely interlinked,” writes Williams. Finally, where would the price of gold be at the end of 2015? Williams gives us three price scenarios, one of which is pretty optimistic – gold at $2,500, silver at $55. For more on Williams’ predictions on gold and silver, read the entire article here. Gold Should be in Every Portfolio? Right now investors have a great opportunity to get into precious metals at very low prices. That’s the opinion of John Embry, Chief Investment Strategist at Sprott Asset Management, who, like the above-mentioned Jim Rickards and many other financial experts, believes that the U.S. economy is heading toward a currency crisis. In prospect: A strong 2015 for Gold and Silver?